The current USB battery pack I have momentarily looses power when I start or stop charging it. Meaning if I have a running raspberry pi plugged into it and I start to charge it the pi will reboot. Dose this pack do the same? It could be a perfect battery back up for running a pi during a short power outage. Has anyone had luck with this and a raspberry pi? I'm getting communication errors even with an external power supply. Has anyone had luck installing waveform 2015 on a raspberry pi? I put it on my Linux PC with no problem. But the install fails on the pi. Question: What dose the raw data look like from this? Is it already scaled from hottest to coldest? or is the raw data from each pixel the temperature in Celsius? Say I wanted to know the temperature of something in the view would I have to know some reference temperatures also in view? I'm getting the same problem, do you remember what you did to fix this? I'm trying to characterize these sensors so I set up a little experiment with soil from my garden. I took a soil sample and dried it in the oven (before my girlfriend woke up and found out what I was doing in the kitchen). I let it bake at ~150F for an hour occasionally mixing, this seem to produce very dry soil. 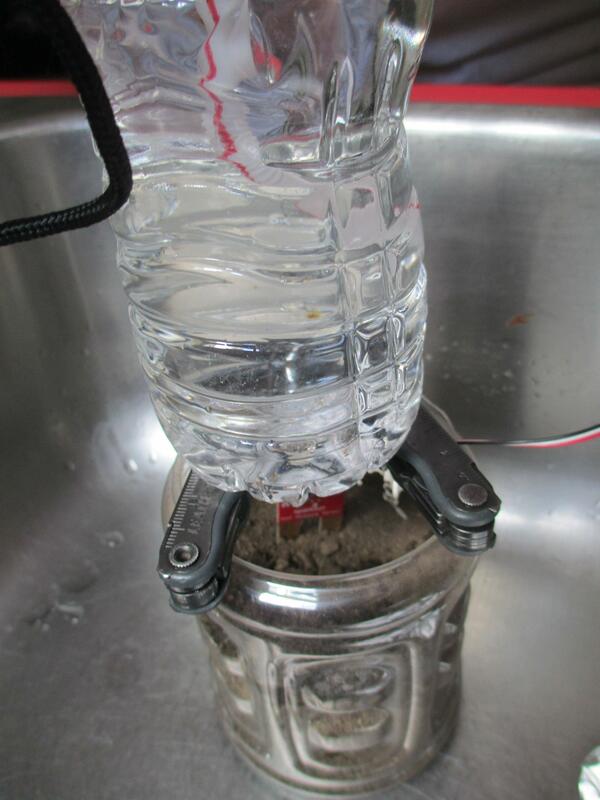 I made a Mariotte's bottle out of a water bottle to provide a constant yet very slow way to add water to the soil. Here is a quick picture of the soil in the bottom half of a Gatorade bottle with the constant flow water bottle on top. The issue I'm having is that the soil water content doesn't seem to correspond linearly with sensor output voltage. At some point it jumps up to ~4.7 V and stays there. 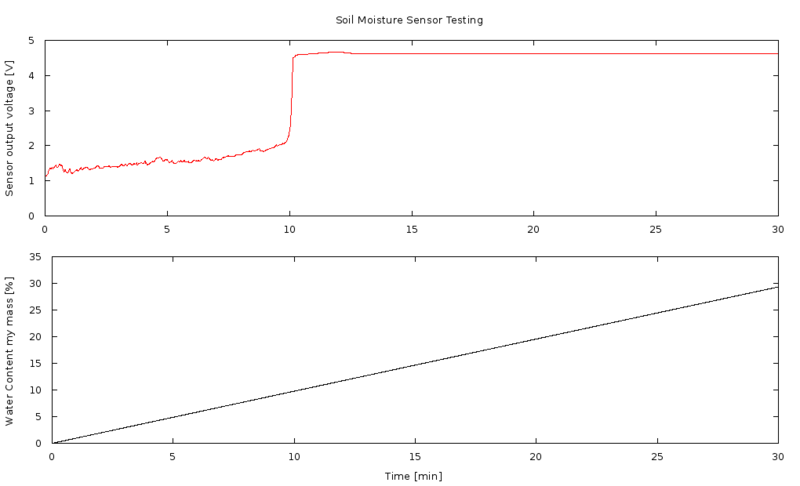 Her is my recorded data of sensor output voltage vs time and the approximate moisture content of the soil vs time. Are there any soils experts out there that could chyme in, I'm quite happy with the little sensors I'm just trying to get the voltage to water content relationship established before deploying them outside. 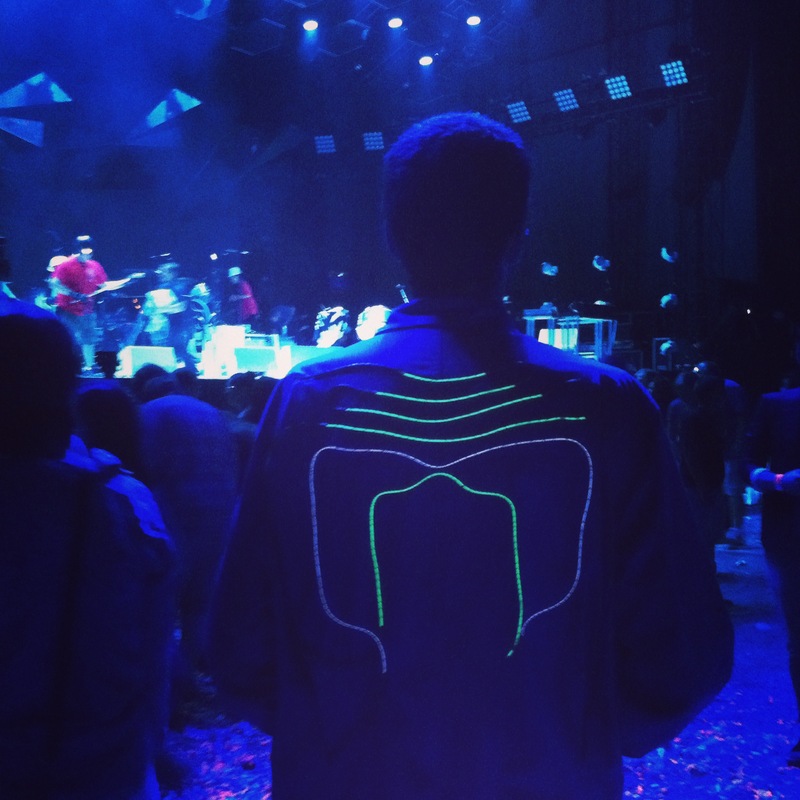 Here is my use of EL wire to make the Neon bible logo for an Arcade Fire show pic I had a battery and switch in my pocket to turn it on and off.